You are here:Home Knowledge and Expertise Resources Why is Balance and Scale Calibration Important? What is calibration and why should I calibrate? and what are the risks of not calibrating? Is there a difference between calibration and adjustment? My scales are legal for trade, do I still need to calibrate? Why is measurement uncertainty so important? How do I ensure accurate weighing results? Why is it a risk to use non-calibrated Instruments? 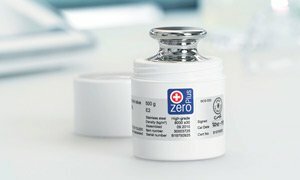 Why is METTLER TOLEDO – The Right Calibration Partner? What is the correct way to handle test weights? Is Routine Testing needed between Calibration Intervals? 1. What is balance calibration and why should I calibrate? The second part of the question triggers another one: "Why would you want to weigh at all if your balance is not calibrated?" Balance or scale calibration is essential to achieve accurate weighing results. Ignoring this important service activity turns measuring into guesswork. In other words, it is negligent to weigh with a non-calibrated balance or scale. The accuracy of balances and scales becomes less reliable over time. This is the result of normal wear and tear caused by regular use and external factors such as mechanical shocks or hazardous environments. This may lead to a rather quick degradation or deterioration over a longer time. Periodically scheduled balance calibration in combination with frequent routine testing greatly enhances the life time of your balance or scale and its weighing accuracy. Have you maximized ROI with your Service investment? 2. What are the benefits of balance calibration? 3. How often do I have to calibrate my balance, and what are the risks of not calibrating? Environmental changes can also lead to undetected drift or increasing random errors which degrade performance. Periodically scheduled calibration along with routine testing (see below) is the best way to reduce calibration-related risk. 4. Which tolerances apply to balance calibration? Tolerances determine whether a balance or scale behaves "well enough" to meet a particular set of process requirements. Tolerances set the criteria to issue a Pass/Fail statement. Tolerances can stem from a variety of sources, including legal agencies, manufacturing industries, and the process itself. Manufacturer tolerances ensure that equipment meets manufacturer specifications. Manufacturer tolerances do not consider user specific process requirements, and are therefore unsuitable for improving the weighing process. Specific process tolerances defined by the user, support process improvements and savings on material, waste and rework. For scales in a legal for trade application, process tolerances should therefore be applied in addition to legal tolerances. 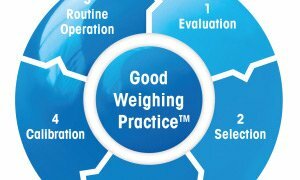 For more details on how METTLER TOLEDO's GWP Verification® solution can improve your weighing process, please refer to this internet link: GWP- Weighing Standard. Legal tolerances protect consumers but do not consider specific producer requirements. Optimizing process tolerances that are applied to measuring instruments can have a large impact on process profitability. 5. Is there a difference between calibration and adjustment? Yes, there is an important difference. Unfortunately, the terms "calibration" and "adjustment" are often confused. "Operation that, under specified conditions, in a first step, establishes a relation between the quantity values with measurement uncertainties provided by measurement standards and corresponding indications with associated measurement uncertainties and, in a second step, uses this information to establish a relation for obtaining a measurement result from an indication." In other words, a balance or scale is calibrated to understand and document how it behaves. The above definition also clearly states that the derivation of measurement uncertainty is an integral part of calibration. A balance calibration without a statement of measurement uncertainty is incomplete and becomes a spot check at best. "Set of operations carried out on a measuring system so that it provides prescribed indications corresponding to given values of a quantity to be measured." Therefore, adjusting a balance or scale means modifying its indications in a way that allows them to correspond – as much as possible – to the quantity values of the measurement standards applied. 6. My scales are legal for trade, do I still need to calibrate? The goal of legal metrology is to ensure fair trade and to protect consumers. 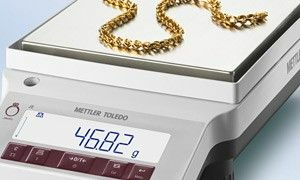 When the scale is used in trade or a legally controlled application, it must be set up, verified and sealed in accordance with local Weights & Measures regulations. 7. Why is measurement uncertainty so important? The tough reality is that a balance calibration without measurement uncertainty is meaningless. Measurement uncertainty is an integral part of any calibration; it is the quantified doubt about the result of a measurement. If not reported in the certificate, the calibration is incomplete. Contributors to measurement uncertainty can come from the balance or scale itself, from the reference weight used to calibrate, from the environment, from the operator, and from other sources. The EURAMET cg-18 calibration guideline is the most widespread reference document that details the methodology of deriving the measurement uncertainty of non-automatic weighing instruments. 8. How do I ensure accurate weighing results? Accurate results are the sum of several key service activities, and can be achieved in 3 simple steps. Routine testing, in addition to calibration, can sustainably improve the accuracy of a balance or scale. While calibration is performed by authorized service technicians, routine testing is executed by the instrument user. Routine testing also ensures early detection of potential balance non-conformance with weighing process requirements. If performed frequently enough, an out-of-tolerance status can be detected before any harm is done. The following graphic shows installation and periodic balance calibration performed by an authorized technician. The user checks the balance on a more frequent basis. To get more information on how you can get consistent quality, achieve 100% compliance, and improve profits, download the infographic "Accurate Results in 3 Simple Steps". It pays off to build quality into laboratory results from the start, rather than discovering problems later on. Put routine balance testing into practice and ensure your weighing results are accurate each and every day. 9. Why is it a risk to use non-calibrated Instruments? 10. 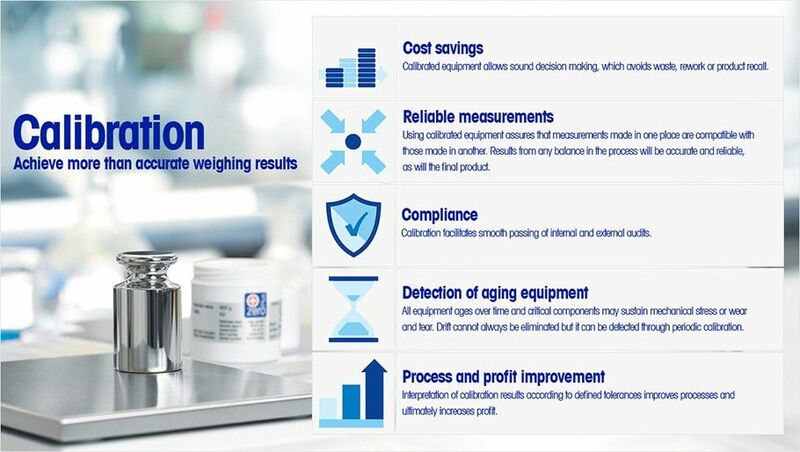 Why is METTLER TOLEDO – The Right Calibration Partner? 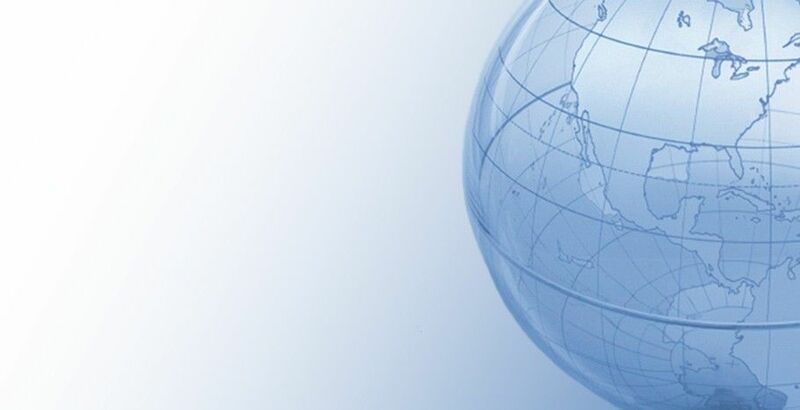 Customers all over the world trust in our solutions and competence. All technicians undergo periodic factory training and eLearning to keep their authorized technician status. Calibrations performed by these technicians follow globally harmonized SOPs. 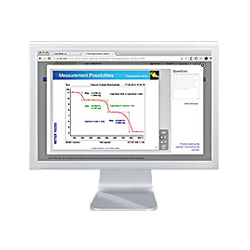 Proprietary MiraCalTM calibration software ensures that all tests are performed uniformly, independent of technician or location. Software-guided calibration procedures optimize processes and save costs which means that customers benefit from competitive pricing. We have the largest global service organization in the weighing industry. This geographic coverage allows us to provide timely, responsive support to our customers. Our innovative calibration solutions aim to enhance customer processes. 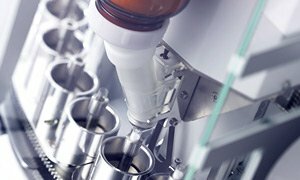 Rather than focusing only on satisfying industry standards, our calibrations focus on optimizing weighing processes to generate incremental customer profit. 11. What is the correct way to handle test weights? This will help you to avoid weighing errors and costs associated with rework, waste disposal, and product recall. 12. Is routine testing needed between calibration intervals? Yes, with routine testing you enhance the performance of your balance and you ensure consistent quality of your products. While calibration is performed by authorized service technicians, routine testing is executed by the instrument user. Routine testing helps to early identify potential balance nonconformance with weighing process requirements and If performed frequently enough, an out-of-tolerance status can be detected before any harm is done.